Vampire Knight. . HD Wallpaper and background images in the Vampire Knight club tagged: vampire knight kaname yuuki zero. 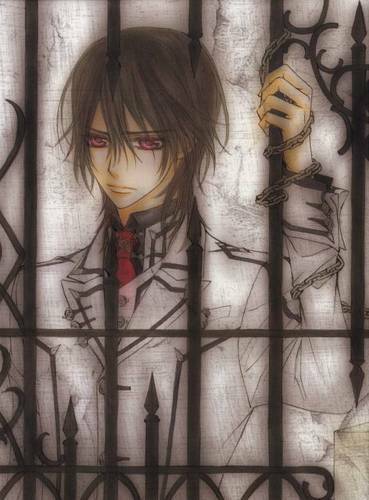 This Vampire Knight photo contains stained glass window, hawak cell, and chainlink bakod. There might also be penal institusyon, penal pasilidad, bilangguan, jailhouse, gaol, kumalansing, slammer, poky, and pokey.